The large wastes amounts produced in relatively small time interval, which should, ideally, be processed or be disposed with safety for the environment before the beginning of the next productive period. Although the produced waste volumes depend on a lot of factors, as the variety of olive-crop, the stage of maturity, the storage before the processing, the time of segregation of olive oil from the crop, the available water for the processing and its cost, in general lines, for each 100 kilos of olive-crop they are produced 100-120 kilos of humid waste, while the medium daily production per mill varies between 15 and 20 tons. The physico-chemical waste characteristics; some of them may cause significant problems to the recipients, where they are disposed (e.g. eutrophication, toxic phenomena to the aquatic fauna, phytotoxicity, aesthetic degradation). The substantial high organic load, which is constituted by compounds/substances that can be easily decomposed (e.gg sugars, organic acids, amino-acids, proteins) and by substances that are decomposed with difficulty (e.g. fats, polyphenols). Wastes contain very high concentration of polyphenols, which may cause the appearance of bio-toxic phenomena in the recipients. Olive oil mills wastes contain also a lot of inorganic components (nitrogen, phosphorous, sodium, potassium, iron, etc). Even if these inorganic components are not toxic, their relatively high concentration and the periodically repeated disposal can cause problems in the environment. To extract olive oil, three methods are commonly used. The traditional press method, the three-phase and the two-phase decanter centrifuge methods. 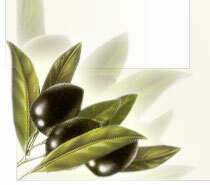 The press method is a non-continuous process, which provides high purity extra virgin olive oils. The three-phase is a continuous process that requires the addition of warm water to improve extraction, as is the two-phase which differs by operating without adding any water. The two-phase method is the most innovative technique and produces a semi-solid cake of pressed olive fruits and stones as opposed to the highly polluting wastewater from the three-phase process. This wastewater needs treatment before disposal. According to the 2 or 3 phase extraction system different kind of wastes are produced during the process. This scheme shows a comparison between the 2 methods. Consequently characteristics of wastes produced according to the different extraction systems may vary depending of different factors. 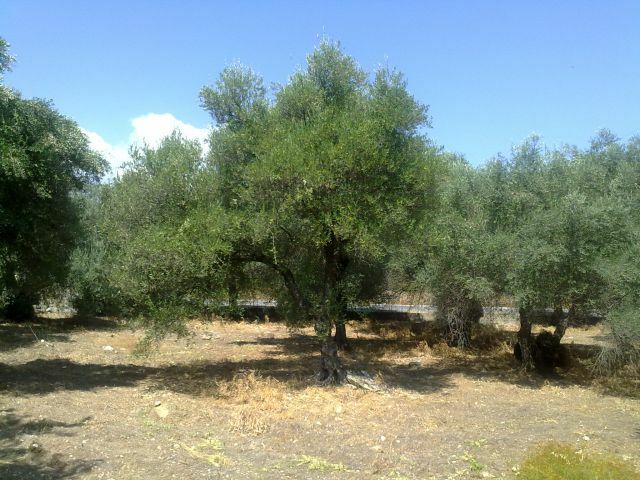 The tables summarize main parameters of olive wastes. Concluding : Management of olive oil mills waste is one of the biggest problems associated with the agricultural industry. The environmental devastation caused by the accidentally or non-accidentally release of non-treated wastes that periodically occurs, is now being addressed aggressively by all major producing nations. M. Niaounakis and C.P. Halvadakis.2006. Olive processing wastes management-Literature review and patent survey. 2md edition. Elsevier. V. Oreopoulou, W. Russ. 2007. Utilization of by-products and treatment of waste in the food industry. Springer. V. Kavvadias, M.K. Doula, K. Komnitsas, N. Liakopoulou. 2010. 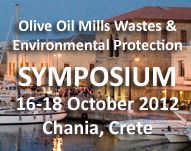 Disposal of olive oil mill wastes in evaporation ponds: Effects on soil properties" Journal of Hazardous Materials (Vol. 182, pp. 144-155).